The west coast of Bali is blessed with magnificent beaches that are jaw dropping and beautiful. You can go surfing at Uluwatu Beach and enjoy the sunset at various vistas across the west coast but today, we’re going to talk about the bounty of riches available at Jimbaran Beach. Jimbaran is a large beach on the west coast of Bali that is known for its dining and delightful atmosphere. The beach has many activities and options so here are some of the recommendations for enjoying Jimbaran beach. 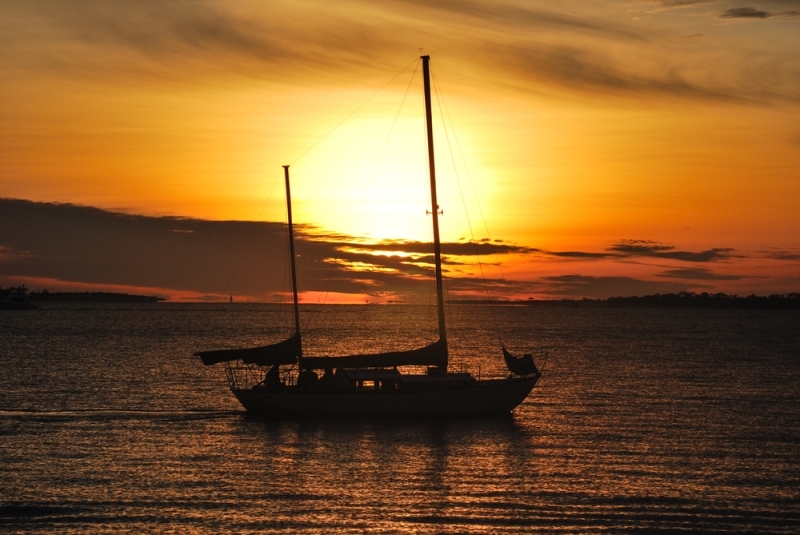 Sunset Cruise – What can be better than watching the sunset from the beach? Watching the sunset from a boat, of course! The cruises in Jimbaran Bay are an absolute delight. There are plenty of tour companies offering different configurations for cruises, so take your pick. You can choose a dinner cruise and dine in style or go for a more extensive cruise across the length of Jimbaran Bay. Whatever you choose, your evening will be well spent out on the water enjoying a memorable experience. Stand Up Paddle Surfing – Surfing has made its mark on the world and it has become an activity or sport that millions take part in every day. Surfing in Bali has been a decades-long tradition, especially in Uluwatu and Jimbaran but stand up paddle has just begun to make its mark. Stand up paddling does have its roots in Hawaii but it is more of a recent phenomenon. In the 1940s, surf instructors stood upright on their surfboards and manoeuvred their boards using a single blade paddle, so that they could see the waves better and instruct new surfers before the wave hit. Stand up paddle has made a comeback in the 21st century and many people enjoy it even more than surfing. 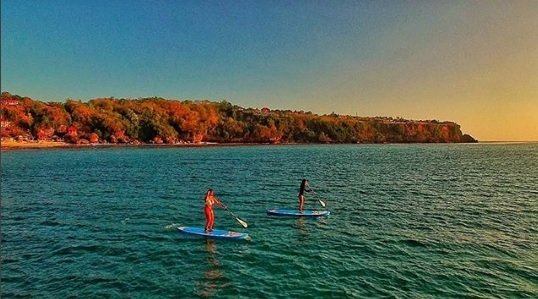 Today, there are many stand up paddle clubs and rental companies in Jimbaran, where visitors can learn more about the sport and try it for themselves. SUP Yoga – Perhaps you have already tried your hand at Stand Up Paddle surfing and you want to try something new in water? There is also a chance that you love yoga and now you want a brand new challenge. SUP yoga is the definitive answer for both of these questions. As incredible as it might sound, Stand Up Paddle Yoga is growing in popularity across the world as stand up paddlers want to experience more on their boards. There is no better place to commune with nature than the middle of the ocean and maintaining balance on a board is much harder than it looks! 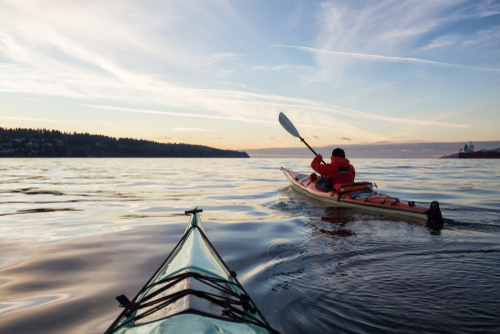 Kayaking – Exploring the ocean is something that you can do on your own terms if you go kayaking or canoeing. There is a variety of options for kayaking configurations available, if you are new to kayaking, you can ride with an instructor but if you are comfortable on your own, you can rent a single person kayak. Get out there and see what Jimbaran Bay has in store for you, up close and in person! Fishing – Head out to sea on a Balinese jukung (boat) with local fishermen and catch a barracuda, grouper or even a trevally for dinner! Bali’s waters have some delicious catch and you can get a good look at how the locals get their seafood. 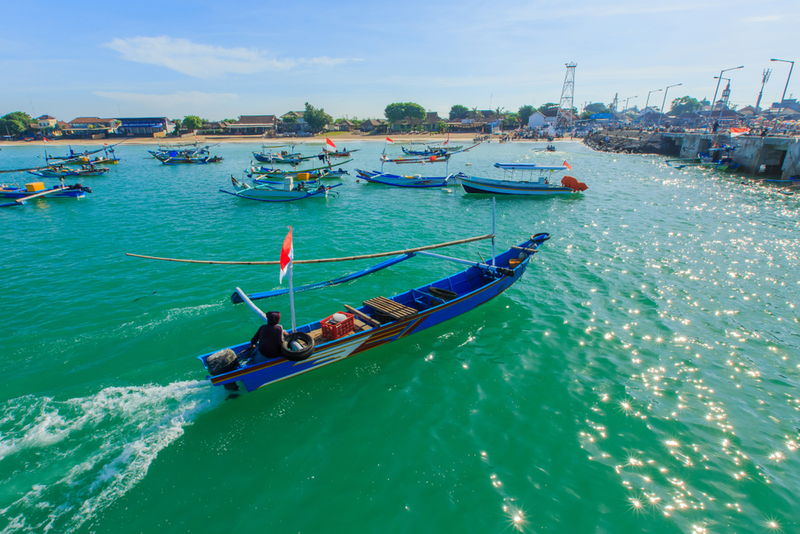 There are numerous fishing charters available in Jimbaran, known across Bali for its seafood. Seize the opportunity to become the hero of the barbeque with a fruitful day of fishing. 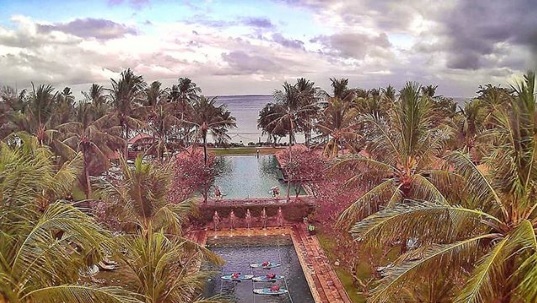 For activities such as kayaking, surfing, stand up paddle surfing and more visit The InterContinental Bali Resort. Our beachside Water Sports Centre is run by the Rip Curl School of Surf, which is one of Asia’s leading surf education centres. Learn how to quickly get the hang of all these sports under the guidance of Rip Curl instructors and enjoy Jimbaran Beach as much as possible. Visit us at InterContinental Bali Resort and gain unfettered access to Jimbaran Beach.